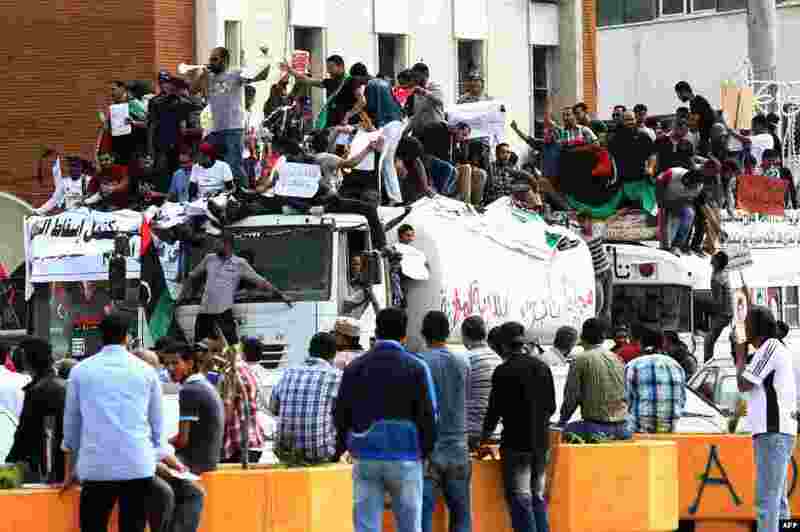 5 Libyan protesters hold placards and banners during a demonstration in support of the "political isolation law" in the country's landmark Martyrs Square in Tripoli. 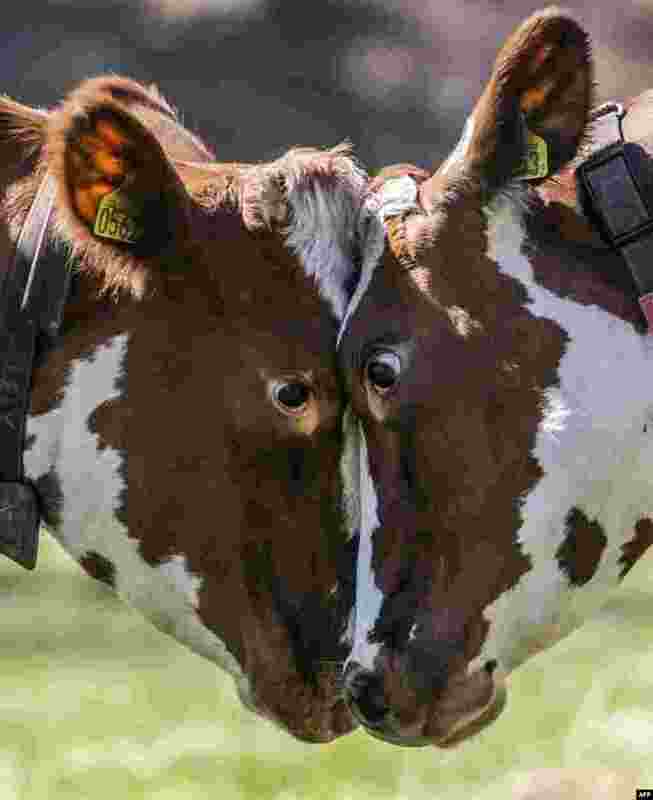 6 Two cows challenge each other muzzle to muzzle during the traditional spring release of cows in Huddinge, Sweden. 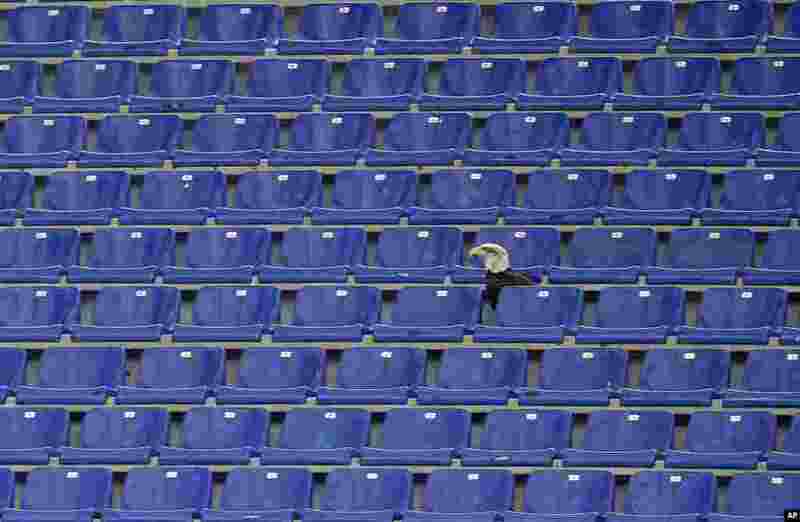 7 Lazio's mascot, the eagle Olympia, sits in the empty stands prior to the start of a Serie A soccer match between Lazio and Bologna in Rome's Olympic stadium, Italy. 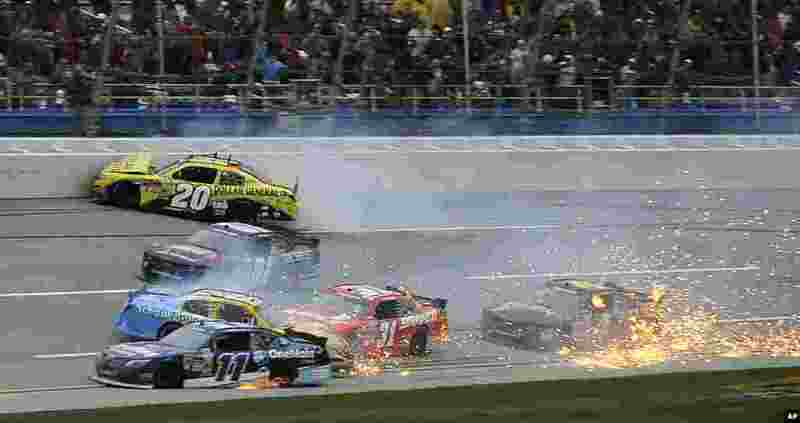 8 Elliott Sadler (11), Mike Wallace (1), Justin Allgaier (31), Alex Bowman (99), and Landon Cassill (4) spin through the tri-oval near the end of the NASCAR Nationwide Series auto race at the Talladega Superspeedway in Talladega, Alabama, USA, May 4, 2013.